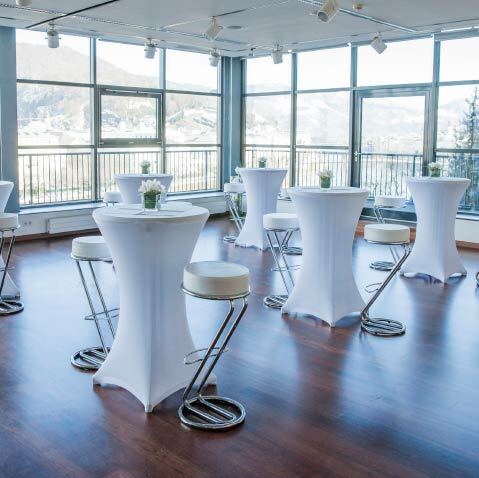 The advantage of flexible floor space is what makes the LOFT the perfect setting for both big and smaller sized events. 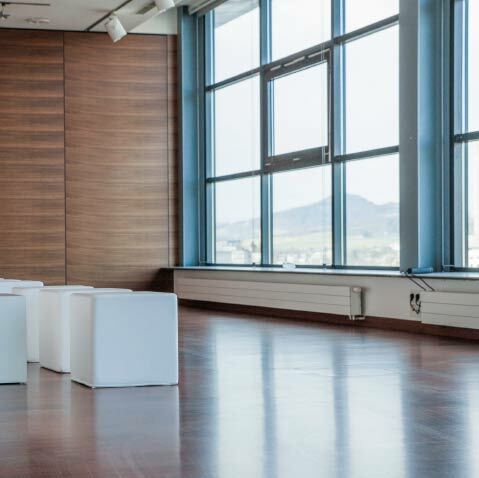 This is because the individual rooms can be booked in a variety of combinations, providing floor spaces ranging from 71 m2 to a total of 280 m2, in order to accommodate your personal event. Hence, we are able to host all kinds of events, ranging from private celebrations on a smaller scale to lavish gala dinners, lectures, product presentations, press conferences, company and Christmas parties to conferences and seminars. And, of course, it will be our pleasure to organise the catering and the respective technical equipment required for your event. The fact that we are able to provide a beautiful and atmospheric setting for your event and pamper you with excellent service is one thing. 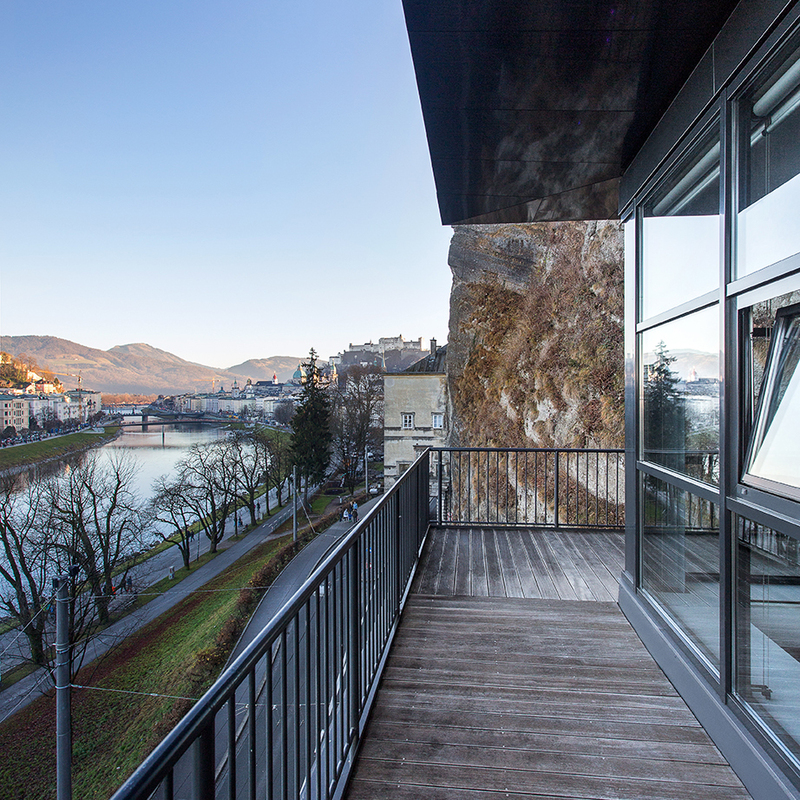 But the fact that we are also able to offer you maximum spatial flexibility offers you particular advantages. 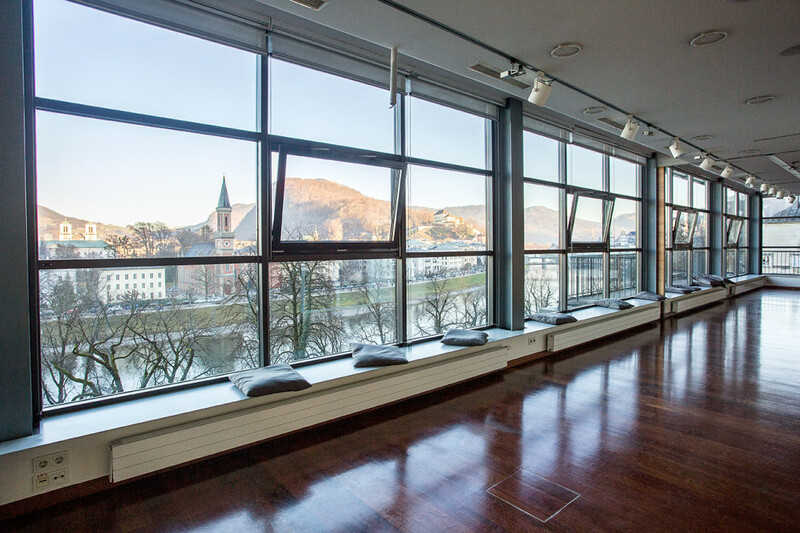 The versatility of the LOFT means that you can personally arrange the size and design of YOUR own venue. 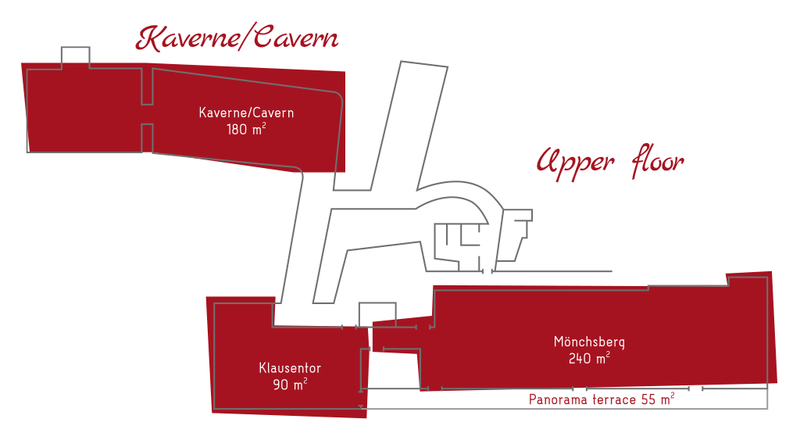 A perfect contrast and earthy alternative to the modern architecture of the upper floors: Die Kaverne – The Cavern. This chamber was carved into the rock of the Mönchsberg Hill in 1786. 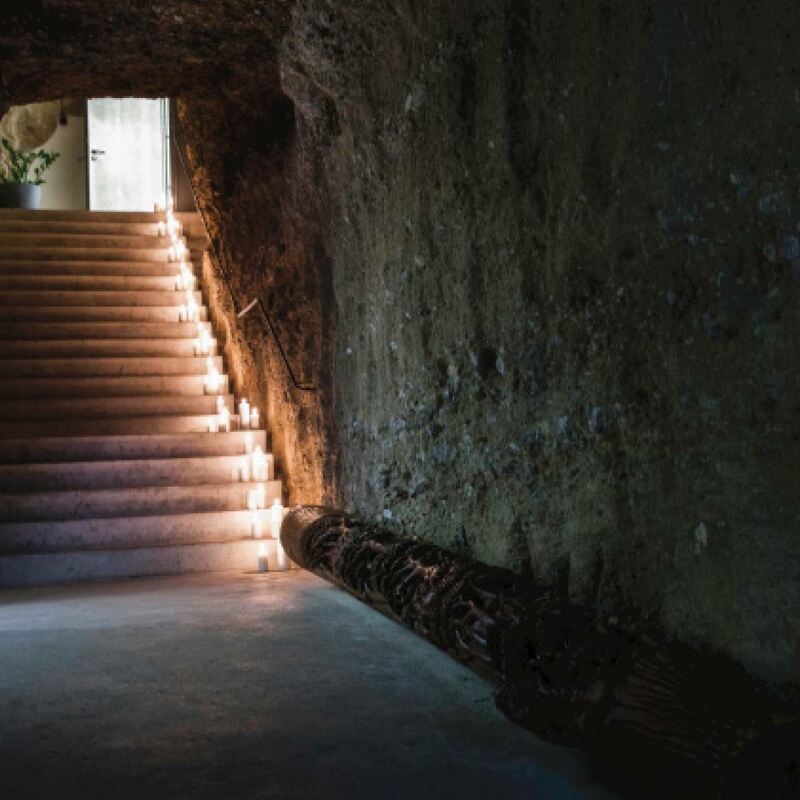 The floor was then paved with Untersberg marble while the sheer rock walls were intentionally left in their pristine form in order to preserve the cavern’s archaic character, which is what makes this place the perfect venue for wine tasting, fashion shows, vernissage events and art performances. The extraordinary atmosphere held within the walls of this chamber certainly makes any event an occasion to remember. 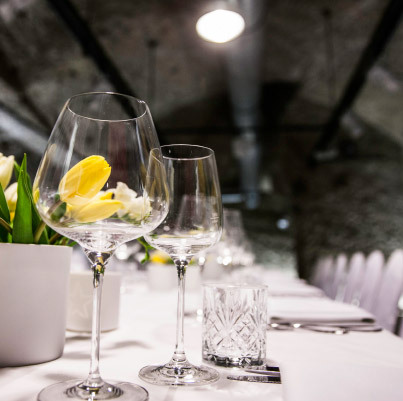 So, if you’re looking for a location that is more than just a setting, but in itself an integral part of your event, don’t hesitate to get in touch.